Toddlers meets every Thursday during term time from 10am until 12 noon. 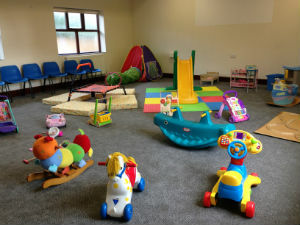 Infants aged 0 - 4 are welcome with an adult. 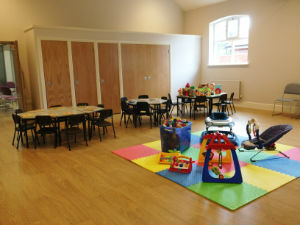 We make full use of our fabulous refurbished building with space for dressing up, cars, trains, slide, seesaw, playdoh, jigsaws, Happyland and much more. Come and join us every Thursday morning during term time from 10am to noon for playing, snack, craft and singing.